UPDATE: Dr. Cuozzo passed away on March 23, 2017. His obituary can be found here. This e-mail address is being monitored by his family. Thank you. Dr. Cuozzo has a chapter in the new book: "The Neandertal Adolescent Le Moustier 1 (Band 12) New Aspects, New Results"
It is published by the Staatliche Museum in Berlin, edited by Herbert Ullrich and includes chapters by Ian Tattersall and Jeffrey Schwartz, Jennifer Thompson and Andrew Nelson, Bruno Maurielle and Alain Turq, plus many other Neanderthal experts in the world. Dr. Cuozzo's research on the Le Moustier neanderthal remains show that the original skull was improperly reconstructed based on evolutionary presuppositions. Dr. Cuozzo's radiographs of the skull indicate that the individual was not apelike at all, but human and followed a biblical rate of maturation. 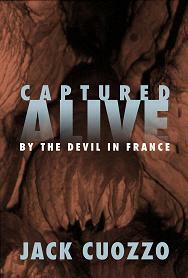 "Buried Alive: The Startling Truth about Neanderthal man"
"When Christians roamed the earth"
"In Six Days - Why 50 Scientists Choose to Believe in Creation"
and Dr. Cuozzo's new book: "Captured Alive: By the Devil in France" Click Here to browse available books and materials. 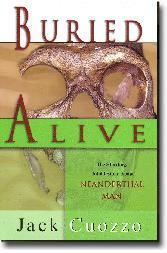 Does the DNA of Neanderthal man show they were not related to modern humans? Did Neanderthal man have rickets? Shanidar Neanderthal: Evidence of Stone age murder? 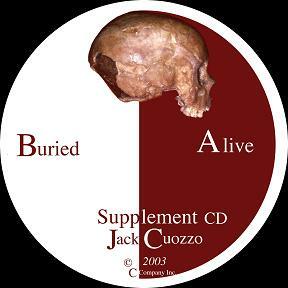 A reply to a review of "Buried Alive"
New Buried Alive Supplement CD available now Read more about Dr. Cuozzo's research on Neanderthals and see even more revealing pictures of these amazing human fossils. What about other alleged Missing links? How can I get a copy of the Debate between Dr. Cuozzo and Alan Mann?